Seal Bay on Kangaroo Island. Hop on a SeaLink Ferry from Adelaide and step onto the relaxing shores of one of South Australia’s famed getaways: Kangaroo Island. 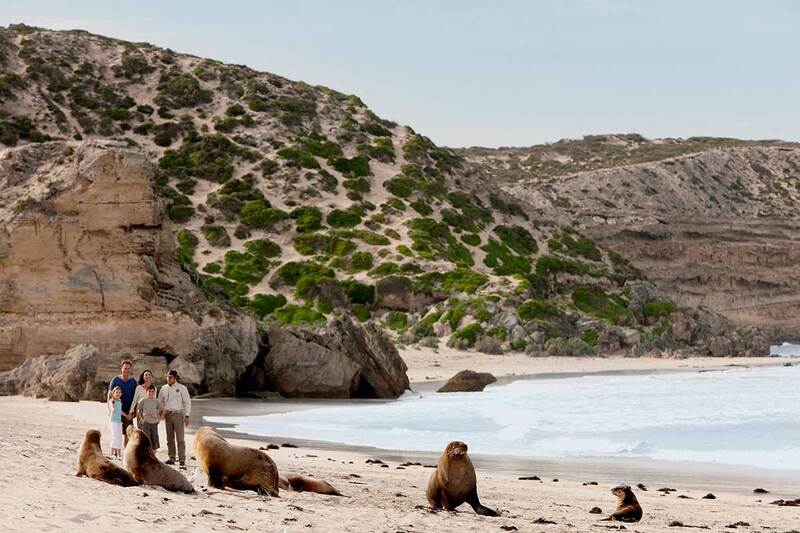 Known as “nature’s playground” to locals and visitors, Kangaroo Island is home to boundless wildlife teeming alongside clear waters, friendly cafes and pubs, as well as stunning coastal accommodations where the soothing shores greet you each morning. With award-winning and emerging artists alike featuring their creations, Kangaroo Island is quickly becoming a top arts destination in South Australian. The island offers guests a number of galleries, studios and spaces for artists to showcase their masterpieces. Stop by the Kangaroo Island Gallery and Fine Art Kangaroo Island for the opportunity to view or purchase paintings, drawings, photography and locally made jewellery. Visit the Cape Borda Lightstation, built in 1858, and learn about the early lighthouse keepers and its European history. Only here can you enjoy seasonal artisan cuisine with fresh ingredients sourced locally from the island. Partake in a sunset food and wine tasting journey, devour some of the freshest oysters from an oyster farm where they’re manually harvested and processed, and wind down at the end of the day with a pint at a Kangaroo Island Brewery… Or opt for a savoury glass of red at a wine cellar—the island offers the ideal climate for grape growing! Nicknamed Australia’s “natural zoo” for its abundance of animals that roam around freely, when walking through bush and wetlands you may be able to spot koalas resting in trees or kangaroos jumping about. The waters surrounding the island offer colourful marine life and have become a playground for numerous water species, most notably wild bottlenose dolphins. Visit Flinders Chase National Park and see the renowned Admirals Arch and Remarkable Rocks. For over 500 million years, the magnificent erosive forces of wind and rain have been morphing these stunning natural elements into what visitors can witness and explore today. They are certainly must-see experiences, as these formations make for stunning photographs and memories. In addition to natural wonders, Kangaroo Island has a network of great walking trails, heritage sites and conservation parks to explore. From national parks to lush conservation lands, the farmland and small towns, rivers, bays rock formations and more… There is much to see on this stunning island. 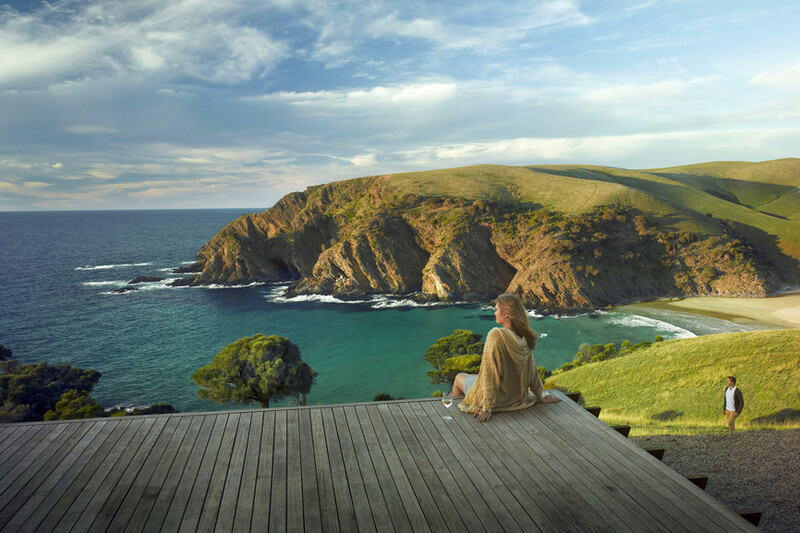 And if you need a place to stay, be sure to check into one of the world’s top-rated hotels according to numerous international travel media, Southern Ocean Lodge. For 15 years, Downunder Travel has been a premier choice for Canadians looking to visit niche destinations: Australia, New Zealand, Cook Islands, Tahiti, Fiji, Samoa, Asia and Africa. Our Destination Specialists regularly visit each of the regions we sell to ensure we continue to remain current and that we deliver exceptional holidays every time.